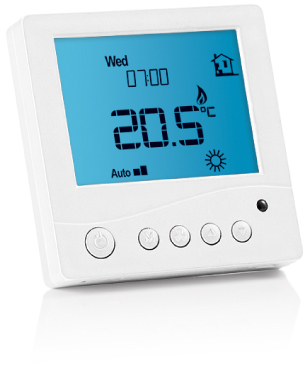 Devimat is one of the best known and most respected brands of underfloor heating. This electric heating mat system is only 3mm thick meaning that tiles and flooring can be laid directly over the heating mats resulting in a minimal height increase. This heating system features a 200w heat output and comes in 500mm wide mats in various lengths. Heating mat kits are best suited to rooms with standard shaped floor areas. Please choose an electric underfloor heating system that will cover 90% of your floor area. It is best to order slightly less than you need than have too much as the cables CAN NOT be cut or shortened. 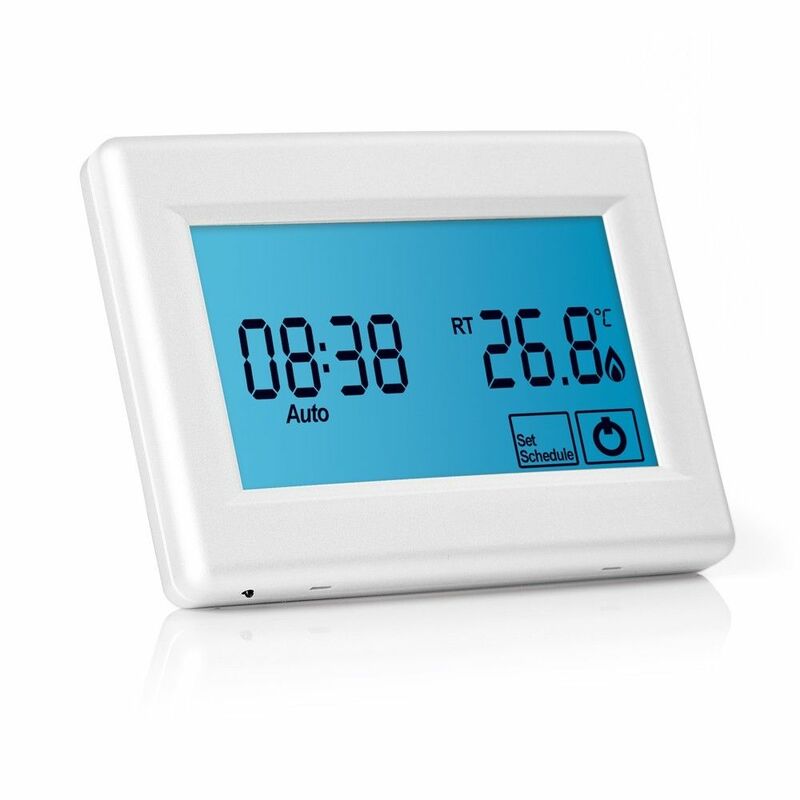 Featuring a blue back light operation and can switch up to 3600 watts, this thermostat has the ability to be switched from either floor sensor, air sensor or a combination of both floor and air sensors internally, this unit is available in a white finish.